We are very eager to bring our famous Shipley Do-Nuts to Abilene,” said Lawrence Shipley III, the CEO of Shipley Do-Nuts. “Abilene is a perfect fit for our company, which started in 1936. We serve over 50 varieties of donuts and kolaches and are excited to bring over 30 jobs to the Abilene area,” said Shipley. Since 1936, the Shipley family do-nut recipe has withstood the test of time. With more than 50 varieties of delicious do-nuts, pastries, and kolaches made fresh daily and served hot, it’s this same simple concept that has continued to bring back multiple generations of loyal customers. Shipley Do-Nuts originated in Houston, Texas, where it still maintains its offices and production facility. 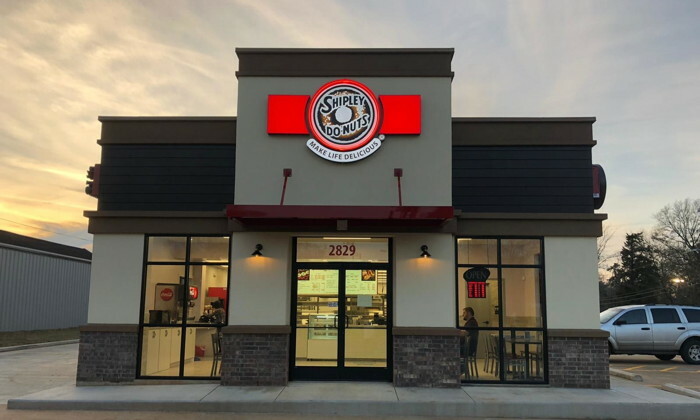 Today, Shipley Do-Nuts is under the leadership of Lawrence Shipley III, with over 300 franchise locations open in Texas, Alabama, Arkansas, Louisiana, Mississippi, Tennessee, Oklahoma, Colorado and Florida. The company has 25 stores under development and has plans to reach 400 stores by 2020.